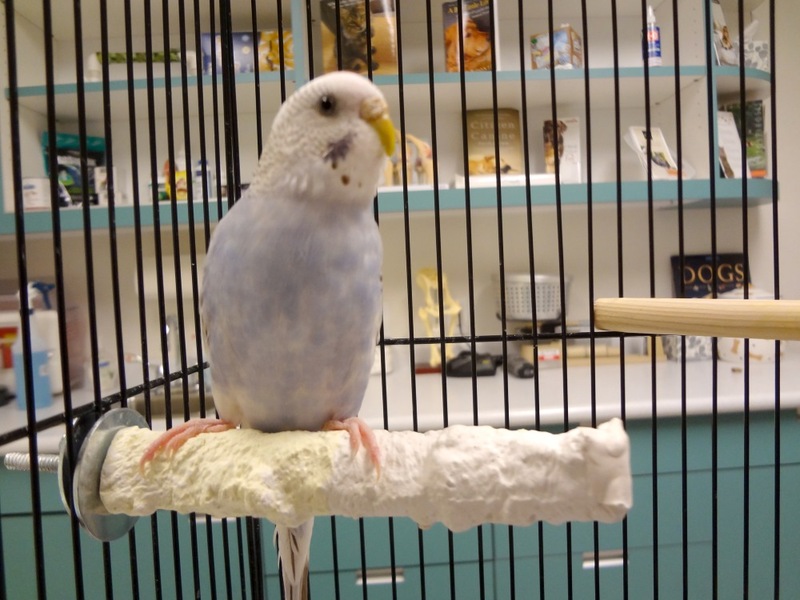 Posted on April 13, 2015 by Michelle M.
On March 12th, we took Lera to the vet for a beak trim. Thirty days later, we had to take her back for another. She’s always chewing, so it’s amazing how quickly it grew back. Here she is before and after her first visit (March): Here she is right after her clip job this weekend. Not pictured – Harvey (who was there for moral support). The vet tech clipped off the end then filed it down with a dremel. I couldn’t watch – but Lera handled it like a trooper. Hopefully it won’t grow again. If it does, she might need some tests to make sure she doesn’t have an underlying illness. Here she is before and after her second visit (April): Much better. When we got home, she had some food and a nap, then was back to her usual hijinks. She seems much happier with her shorter beak. 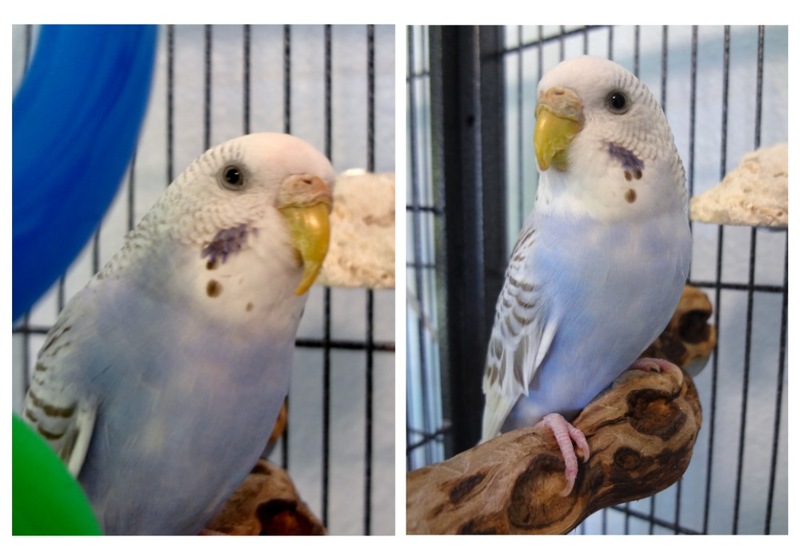 This entry was posted in Lera and tagged budgie, budgie beak, Cooper, Lera, parakeet by Michelle M.. Bookmark the permalink. Looks good, Lera. What a brave little bird. 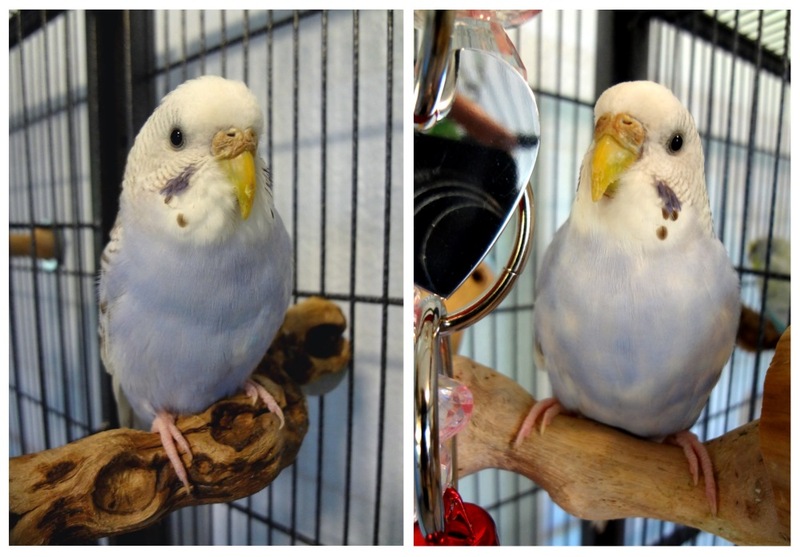 Both my budgies have beaks that overgrow and need trimming every ten weeks ago. They are older, wild budgies, so I am thankful there is a local “bird lady” that does it for us in our home. From what I have read, it can be chalked up to poor diet, vitamin deficiency or tumour, and both of mine have tumours. I hope you will be able to find out the problem for sure! I do believe in taking birds to the vet, but the stress would be too hard on them. Aw–So she does seem noticeably glad to have the beak trimmed up nicely? It sure does look more comfie. Yes, but I don’t think I’d want to use one on a budgie! I’m glad I didn’t have to do it. Eesh – I hope not! The vet seems to think it was growing due to trauma (she bonked her beak). But if it continues, they’re going to do some blood work. I’m keeping my fingers crossed that that won’t be necessary.